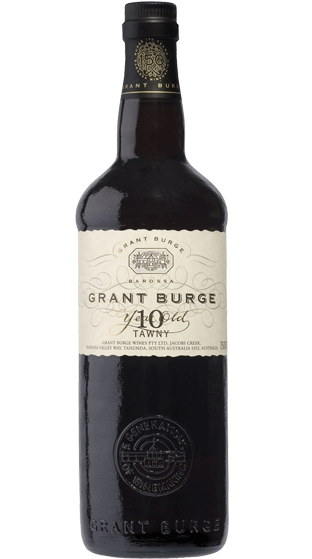 Tasting Note: The Grant Burge 10 Year Old Tawny is a richly flavoured wine showing a tawny colour with tinges of red. Complex rancio characters show through on the bouquet, together with some fresh fruit characters and excellent integration of spirit. The palate is sweet and mellow but finishes quite dry and shows a harmonious balance of developed fruit characters and oak tannins.